Relaxing in the cool sand with the sun warming your skin, water lapping onto the shore and a cool drink in your hand sounds like the perfect beach vacation, right? Florida is home to some of the world’s best beaches according to TripAdvisor, who awarded Siesta Key with the #1 honor for 2014. So which beaches are ideal for a Florida beach vacation, and how can you make it perfect? Since we already mentioned that it was rated number one, we’ll start with Siesta Key Beach. Spending just a day there will help you realize why it won – the temperatures, on average, stay in the 70s year round, and the beach features fine white quartz sand which is both soft and cool to the touch. Also located on Siesta Key is Turtle Beach, which provides boat access ramps, horseshoe courts, and a volleyball court to play on for guests. With a vacation rental in Siesta Key, you’ll be staying right in the midst of the one of the world’s best beaches. 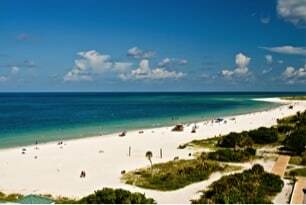 Year round, the temperature averages 73, making a vacation to Longboat Key perfect any time of the year. You can enjoy the white sand beaches almost every single day, which are made of 9% quartz sand, which stays cool and soft year round. You can relax on the beach during the day or you can try out some of the first class golf and tennis facilities that are available on the island. Planning your Florida beach vacation activities is the hard part. Deciding which vacation rental property is the perfect match for you is easy. Contact Jennette Properties today to start getting ready for your dream vacation.